City Park bus terminal is located in the town of Kota Kinabalu, just opposite of Court. 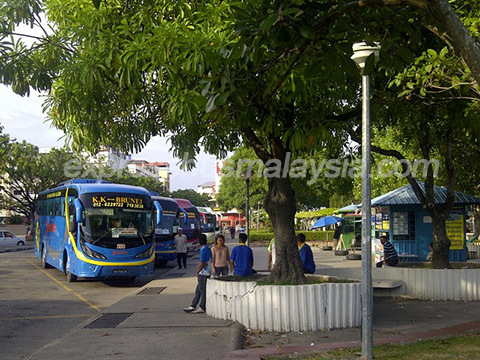 This bus terminal mostly serves route from Kota Kinabalu to Menumbok, the gateway to tax free island Labuan island, Sipitang, cross country Brunei and even to Sarawak Kuching. This terminal does not have any toilet facility or sundry store compared to Inanam bus terminal. However, finding food is not a problem at all due to its location as city centre. There are plenty of food stall within walking distance. Most of the counter ticketing is a cabin type as this terminal is one of the oldest bus terminal in Sabah. Around City Park, it contains the British North Borneo Memorial which commemorates the soldiers who fought and died defending the British Empire during World War I. The memorial was built in 1923. Below are some of the famous route that is available in this terminal. 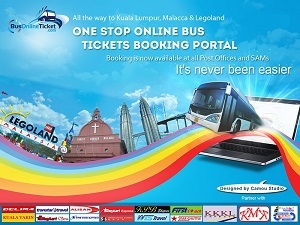 People used to take bus from Kota Kinabalu to Menumbok, and then ferry to Labuan island to enjoy tax free shopping. Cross border travelling is also one of the hottest route, such as Kota Kinabalu to Brunei (there are total 8 stamping need to be done at Sabah, Sarawak and Brunei border because of the bus is passing by Sabah, Sarawak, Brunei, Sarawak, Brunei). 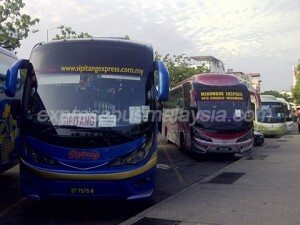 Other destination includes Lawas, Sipitang, Beaufort. Below are the bus schedule available.